The operational zone of Russian warships during the exercises will be expanded to several areas of the Norwegian Sea. 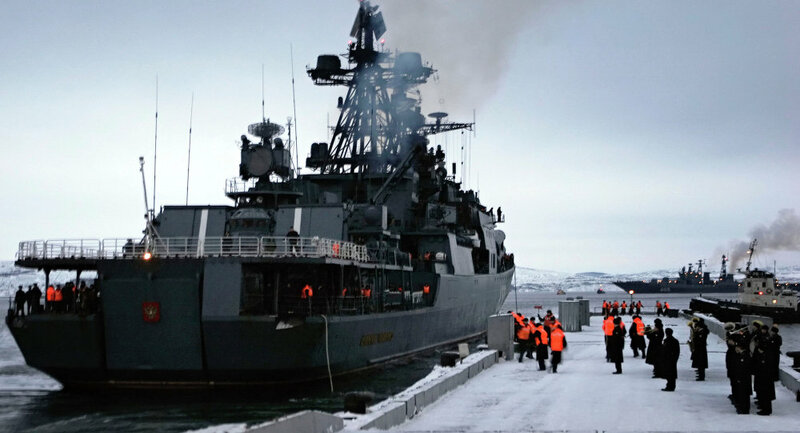 SEVEROMORSK (Sputnik) — The number of naval task groups deployed in Northern Fleet's snap drills has been increased to five, while their operational zone has been expanded to the Norwegian Sea, the Russian Defense Ministry said Tuesday. "The commanding staff of the Northern Fleet has decided to build up the contingent involved in training missions to defend Russia's borders in the Arctic," the ministry said in a statement. "The contingent originally deployed in the Barents Sea has been increased to five combined-arms naval task groups," the statement said. According to the ministry, the operational zone of Russian warships during the exercises will be expanded to several areas of the Norwegian Sea. Russian President Vladimir Putin ordered to bring the country’s Northern Fleet to full alert in a snap combat readiness exercise that originally included 38,000 military personnel, 3,360 pieces of equipment, 41 ships, 15 submarines, and 110 airplanes and helicopters. The main goal of the current snap drills is to assess combat readiness of Russian forces deployed in the Arctic region, Defense Minister Sergei Shoigu earlier said. According to Russia's Defense Minister Sergei Shoigu, the drills will be held between March 16 and 21 and will include land, sea and air activities. Russian Deputy Defense Minister Anatoly Antonov also said on Tuesday that Russia had notified the countries of the Organization for Security and Co-operation in Europe (OSCE) of the snap exercises by the troops from the Northern Fleet.